Home » Posts Tagged "Sub for HB 2178; LLC loophole"
The House today voted 76-48 on final action to pass Sub for HB 2178, the tax bill that adds a third income tax bracket, adjusts rates, repeals the LLC loophole, and ends the glide path to zero. KNEA supports this bill. After finishing with Sub for HB 2178, the House went on general orders to debate new bills. The Senate, having earlier this session abandoned a scheduled debate on a tax plan forwarded to the full body by the Assessment and Taxation Committee, today took up SB 188, an alternative tax plan put forth by the Senate Democrats. On a roll call vote to advance the bill to final action, the bill failed 10-38. Tomorrow’s Under the Dome will include several ways for you to express your commitment to Kansas students while encouraging House Education Committee Chairman Clay Aurand to permit his committee to vote on HB 2179 restoring due process rights for K-12 teachers. We need you and those in your community to watch for tomorrow’s edition of Under the Dome and be prepared to share the information and to TAKE ACTION. The House today voted 76-48 on final action to pass Sub for HB 2178, the tax bill that adds a third income tax bracket, adjusts rates, repeals the LLC loophole, and ends the glide path to zero. KNEA supports this bill. It represents the first vote of the full chamber to dismantle the reckless and irresponsible Brownback tax policies adopted in 2012-13. Six legislators who voted YES yesterday switched to NO today. They are Alcala, Clark, Dove, Good, Mason, and Rahjes. Mastroni and DeGraaf, who were absent yesterday, voted NO. And Resman who replaced Kiegerl on his retirement yesterday also voted NO. After finishing with Sub for HB 2178, the House went on general orders to debate new bills. First up was HB 2161 which would liquidate the pooled money investment portfolio. This is a way to get Kansas out of the 2017 budget hole without cutting state services including education. If adopted it would generate over $300 million but would require a $45 million per year expenditure to pay it back. If coupled with a serious tax reform bill, it is a solution to the crisis we face at the moment. Kansas gets the money it needs to fill the hole in FY 2017 by passing HB 2161 but must also pass a tax bill that generates enough revenue to fill the holes in FY 2018 and 2019 and include funds to repay this money. This is the path that the House is on now with the passage of the tax bill and possible passage of HB 2161. The bill was advanced to final action on a voice vote today; the final action vote will take place tomorrow. This bill would have ended the glide path to zero income taxes, added a third income tax bracket and adjusted rates, repealed the LLC loophole, and reinstated previously repealed or reduced income tax deductions. Like Sub for HB 2178, this was a good step toward getting Kansas back on the road to prosperity and KNEA supported the bill. This likely tees up a floor debate on Sub for HB 2178. It is expected that this bill will be referred directly to the committee of the whole (sent to the floor) for debate. On Monday, Feb. 20, 2017, House Education Committee Chairman Clay Aurand will have an opportunity to honor the legislative process and allow his committee to vote on HB 2179 reinstating due process rights for K-12 teachers. Tomorrow’s Under the Dome will include several ways for you to express your commitment to Kansas students while encouraging Chairman Aurand to permit his committee to vote on this bill. Legislators elected to serve the citizens of Kansas deserve the opportunity to do so and should not be disallowed from participating in a fair democratic process at the will and whim of the Chairman (see “Sham Hearing on Due Process”). We need you and those in your community to watch for tomorrow’s edition of Under the Dome and be prepared to share the information and to TAKE ACTION. KNEA supports House tax bill believing there is room for improvement, but it is a good first step. The bill repeals the LLC income tax loophole beginning with tax year 2017, ends the glide path to zero income taxes, and sets three income tax brackets at 2.70 percent, 5.25 percent, and 5.45 percent. This was our first chance to see how the moderate Republicans and Democrats would cooperate and they did not disappoint. Fallout continues from yesterday’s House Education Committee hearing on due process. 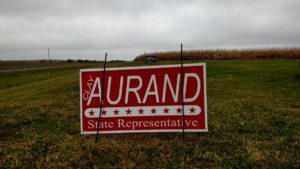 Aurand’s announcement that he did not plan to work the bill at all angered not only the proponents who testified in the hearing but also the majority of committee members who are ready and willing to pass the bill. Leaders from KNEA (bill proponent) and KASB (bill opponent) met to discuss concerns and look for a path forward. Chairman Aurand has scheduled a committee meeting for Monday afternoon for the purpose of “considering bills already heard.” There are only three bills that this could apply to and one of them is HB 2179. We urge our members and friends to continue to let Chairman Aurand know that this bill needs a fair hearing and a vote. You can email Chairman Aurand at clay.aurand@house.ks.gov. SEE FULL POST FOR SPECIAL EDITORIAL REGARDING PARTISAN RANCOR UNDER THE DOME. THIS IS A VERY IMPORTANT READ FOR ALL PUBLIC EDUCATION ADVOCATES. It was a surprise this morning when the full House voted to advance House Sub for HB 2178, the tax bill crafted in the committee last week. It only took a few minutes and there was not debate at all; no amendments offered. This is quite unusual since tax bills generally generate a vigorous debate and more than their fair share of amendments. KNEA supports this bill. We do believe it could be improved but it is a good first step in the move to reverse the reckless and irresponsible tax cuts of 2012-13. This was our first chance to see how the moderate Republicans and Democrats would cooperate and they did not disappoint. 46 Republicans and 37 Democrats vote for the bill while 36 Republicans and 3 Democrats voted NO. The bill was advanced to final action on a vote of 83 to 39. We’ll see tomorrow how the final action vote goes! Voting AYE were Alcala, Alford, Baker, Ballard, Becker, Bishop, Blex, Brim, Campbell, Carlin, Carmichael, Clark, Clayton, Concannon, Cox, Crum, Curtis, Deere, Dierks, Dietrich, Dove, Elliott, Eplee, Finney, Francis, Frownfelter, Gallagher, Gartner, Good, Helgerson, Henderson, Hibbard, Highberger, Hineman, Holscher, Jennings, Johnson, Judd-Jenkins, Karleskint, Kelly, Kessinger, Koesten, Kuether, Lakin, Lewis, Lusk, Lusker, Markley, Mason, Miller, Murnan, Neighbor, Ohaebosim, Orr, Ousley, Parker, Patton, Phelps, Phillips, Pittman, Proehl, Rahjes, Ralph, Rooker, Ruiz, Sawyer, Schreiber, Schroeder, Sloan, A. Smith, Stogsdill, Swanson, Tarwater, Terrell, Thompson, Trimmer, Victors, Ward, Weigel, Wheeler, Wilson, Winn, and Wolfe Moore. Voting NO were Arnberger, Aurand, Awerkamp, Barker, Burroughs, Carpenter, Claeys, Corbet, Davis, Delperdang, Ellis, Esau, Finch, Garber, Hawkins, Highland, Hodge, Hoffman, Houser, Huebert, Humphries, Jacobs, Jones, Landwehr, Osterman, Powell, Rafie, Ryckman, Schwab, Seiwert, E. Smith, Sutton, Thimesch, Vickrey, Waymaster, Weber, Whipple, Whitmer, and Williams. DeGraaf, Kiegerl, and Mastroni were absent. What’s Happening with Due Process? After yesterday’s frustrating hearing, Democrats and moderate Republicans who support teacher due process rights immediately began regrouping to find a way bring the bill, HB 2179, back for a vote. There were some moments of difficulty – Republicans were frustrated by the attempt to force an immediate vote and Democrats angry that one man, Clay Aurand, could simply close down the committee to stop any further discussion. Aurand’s announcement that he did not plan to work the bill at all angered not only the proponents who testified in the hearing but also the majority of committee members who are ready and willing to pass the bill. KNEA & AFTKS leaders called their KASB counterparts and invited them to come to KNEA at noon today to talk about what issues KASB had with due process for teachers. That meeting happened and it became clear that some issues could probably be easily resolved but KNEA continues to insist that due process is defined by a binding third-party review. 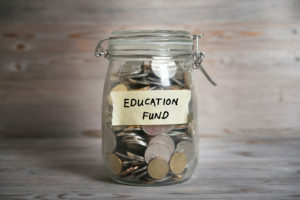 Prior to 1992 when hearings were held before a three-officer panel but the panel’s decision was advisory to the Board of Education, boards simply ignored the hearing panel’s decision even when that decision was unanimous. It was this that made the legislature create the binding decision that was part of the process from 1992 until repeal in 2014. We know that today moderate Republican committee members have met with Aurand, KNEA lobbyist Mark Desetti met with Aurand, and KASB representatives also met with Aurand. Aurand has scheduled a committee meeting for Monday afternoon for the purpose of “considering bills already heard.” There are only three bills that this could apply to and one of them is HB 2179. KNEA and AFT want the bill to be worked and passed out of committee. We have committed to working with KASB, KSSA, and USA to try to find common ground but we are not interested in setting the issue aside for another year or years while teachers continue to be non-renewed with no ability short of suing a school district to challenge the decision. And by the way, Rep. Willie Dove said in committee that no teacher ever told him that they wanted due process protections. You can let him know that you are a teacher that does by emailing him at willie.dove@house.ks.gov. Sometimes, under the dome, people get a tad cheesed off. We know we do! When that happens things can be said that might be regrettable later and much of that is expressed in hyper-partisanship. Such has been the case over the last couple of days. Things are heating up in the capitol and tempers do flare. We are counting on a bipartisan coalition of level-headed, common sense Kansas legislators to get Kansas through this current fiscal crisis and put us back on a path to prosperity. We at KNEA also look to those legislators to restore respect and honor to the educators of Kansas. Today, in the vote on House Sub for HB 2178, we saw what can happen when partisan wrangling is set aside for the good of Kansas. And we need more of that, not less. That’s why we are frustrated to see messages on social media that attack Democrats for not being more “in your face” with Republicans or attack moderate Republicans for not automatically supporting every idea that comes from a Democrat. We believe that if the due process bill gets a vote in the House – both in Committee and on the floor – it will pass. We are confident of this because of the list of co-sponsors and because of conversations we have had with members of both parties who are not signed on as co-sponsors. We also know that those two groups, working together, can save Kansas. The problem we face today is not the Democrats. It is not the moderate Republicans. It is leadership that puts their own ideological agenda ahead of the wishes of the legislative majority. A perfect example is Aurand’s unilateral decision to not work HB 2179 when the majority of his committee clearly wants to. This was done in the past when the speaker of the House refused to allow a bill to come to the floor for debate. We have yet to see this happen with Speaker Ryckman but it is a possibility. KNEA has many friends in the Democratic Party and in the Republican Party. We are confident that those friends will stand up for teachers. If they don’t; if they vote for bills that do not support schools and educators, then we will challenge them. If they vote against bills that would help our schools or support our teachers, then we will challenge them. But until then, we will work with all of them, Democrat and Republican, to ensure success for our students, our schools, and our educators. And as the votes come in, you will know who supports public schools and public school educators, and who doesn’t. Because we will tell you. Until then, continue to support our friends. Let them know that you are following the actions of this legislature and that you fully expect them to honor the commitments they made in their campaigns to support our schools. We stand ready to embrace those who value our schools. Democrat or Republican.